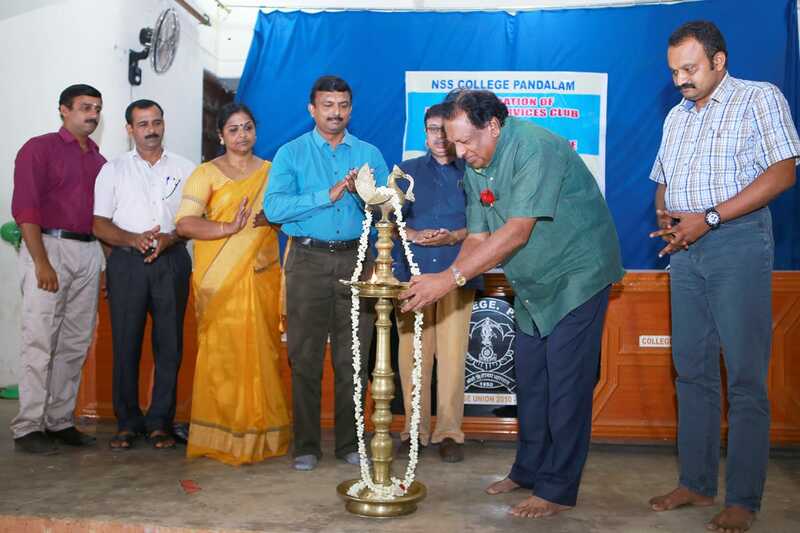 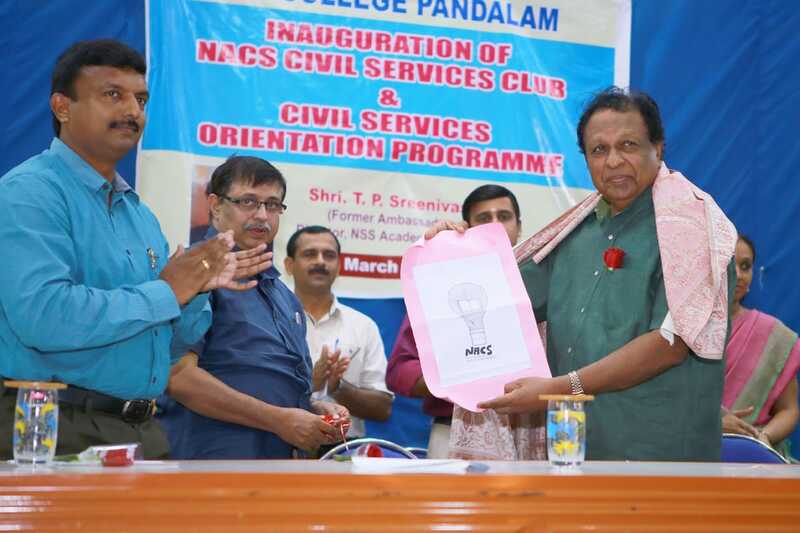 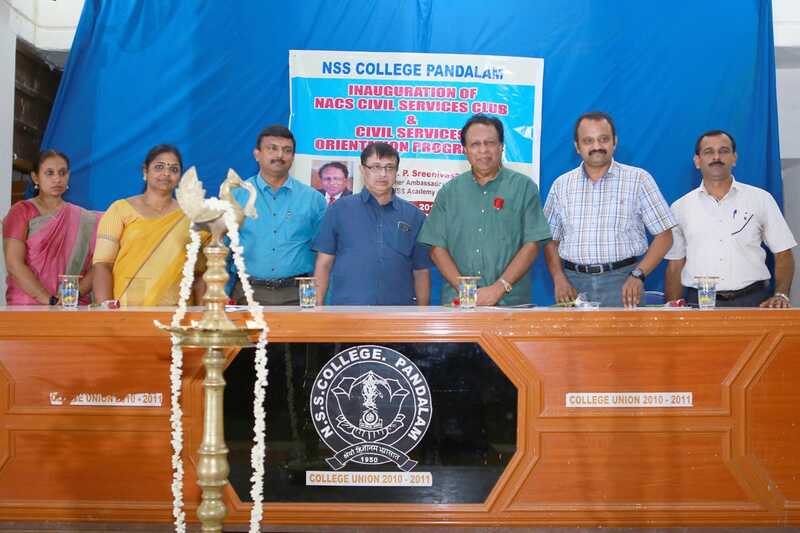 NSS College, Pandalam in association with NSS Academy of Civil Services (NACS), functioning at Thiruvananathpuram formulated the Civil Services Club and the club was inaugurated by Ambassador TP Sreenivasan IFS (Rtd) on 27/03/2019 at the college auditorium. 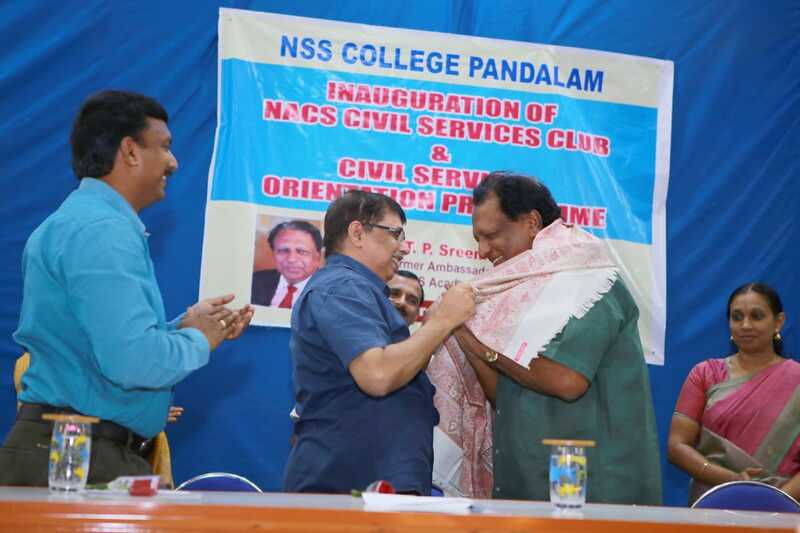 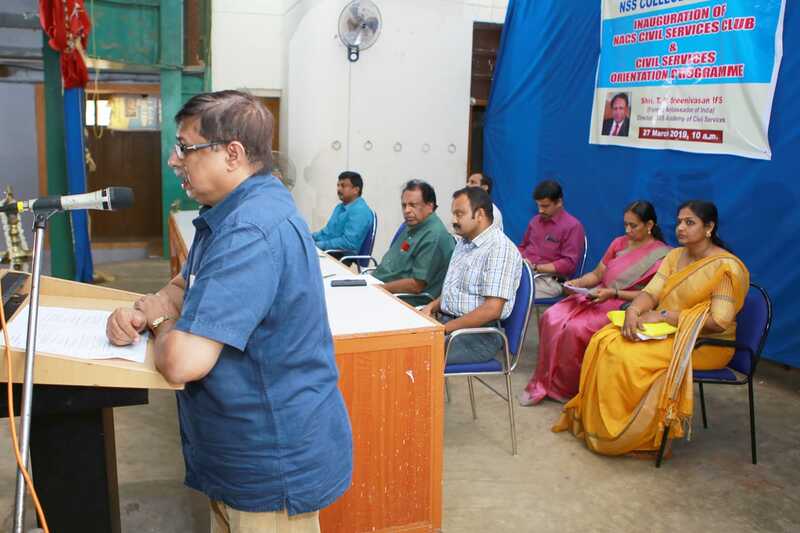 The inauguration was followed by an orientation programme on civil services with sessions handled by Dr. Shaijumon CS, the honorary member secretary NACS and Sri. 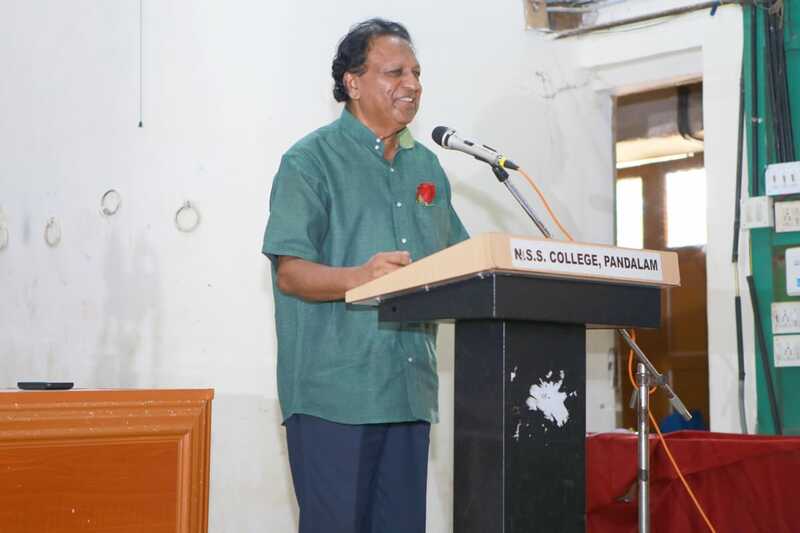 Rajesh R, Member, NACS Academic Council.